How many Frankies can you see? 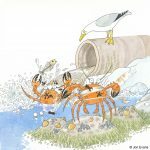 Start at A and finish at Z.
Clarence the crab just hates getting poo on his head! Can you remember why that sometimes happens? 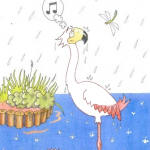 Sameera the stickleback has an important message for Frankie the flamingo. 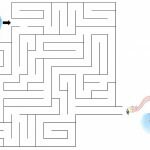 Help her find her way though the maze so she can deliver it. 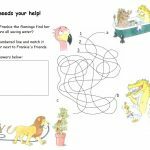 Can you remember what Sameera the stickleback is saying to Frankie the flamingo? 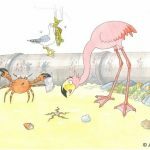 Spot the difference between these two pictures where Clarence the crab explains to Frankie the flamingo why he sometimes has poo on his head! Frankie needs to work out how each of her friends are saving water. 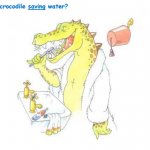 How is Chris the crocodile saving water? 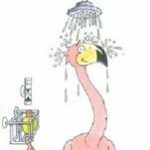 Frankie the flamingo is having a shower. Look carefully at the picture and see if you can work out how she is saving water. 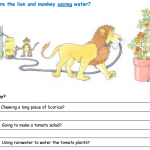 The lion and the monkey are saving water outside. How are they doing it? 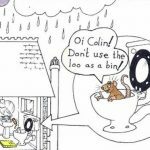 Help Rhodri the rat tell Colin what is okay to flush down the toilet. 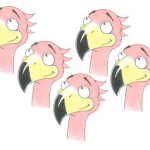 Could your school have a flamingo pool? 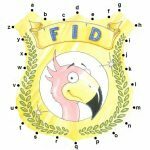 See if you can find somewhere in your school where you could fit a flamingo pool. 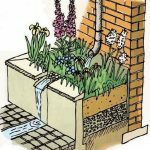 You need a rainwater down pipe and a space near it where you can dig a hole to fill with the rainwater you collect. 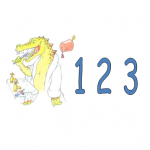 Draw what the pool will look like. 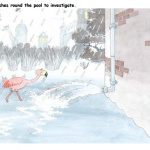 Frankie the flamingo sploshes round her pool to investigate why it is filling up so quickly. Frankie the flamingo is shocked by a photo that Clarence the crab shows her. 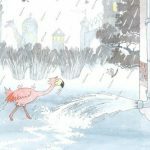 Frankie the flamingo thinks she is sinking! How can you tell the water level is rising? 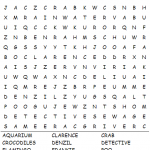 See if you can find the hidden words from ‘The mysterious case of the sinking flamingo’? 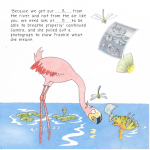 Sameera the stickleback has something important to tell Frankie the flamingo. What do you think it is? 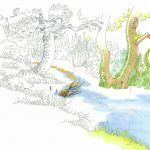 Can you work out from the clues in the book why Cath the crayfish has turned orange? 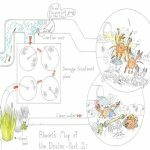 Can you design a rain garden to help Clarence the Crab avoid getting poo on his head? 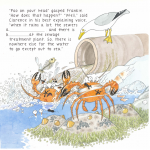 Help Clarence the Crab avoid getting poo on his head by looking at possible solutions. Look at the image of the Combined Sewer Overflow. Can you describe what is happening? 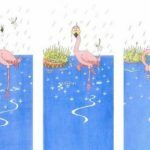 ← Frankie the Flamingo’s first book review!